Tom Thompson hails from Cambridge, Maryland, a hotbed of hydroplane racing history that sits on the southern shore of the Choptank River just as it enters the Chesapeake Bay, about 60 miles southeast of Baltimore. Thompson says his hometown hosts the oldest running boat race in the country and has more national champions, Hall of Champion inductees, and world speed record holders than any other town. He no doubt heads the list. His career in the H1 Unlimited Racing Series began relatively late in his career when, at the age of 50, he was hired to replace J.W. Myers at the controls of the U-11 Peters & May in 2012. He has driven for Shannon and Scott Raney and the Unlimited Racing Group of Edmonds, Washington, ever since. Thompson has yet to win a championship trophy during his six years with the team, but had two podium finishes in 2013 and finished fourth in the final national standings last season while driving the Reliable Diamond Tool presents J&D’s. He says that his team made many new changes and updates to the boat during the winter. Now 55 years old, Thompson started racing with his father in the Jersey Speed Skiff runabout class in 1984 then moved to the 2.5 litre stock hydroplane class the following year. He has since driven every limited hydroplane class or runabout (except Cracker Box and K boats) that the American Power Boat Association has to offer. 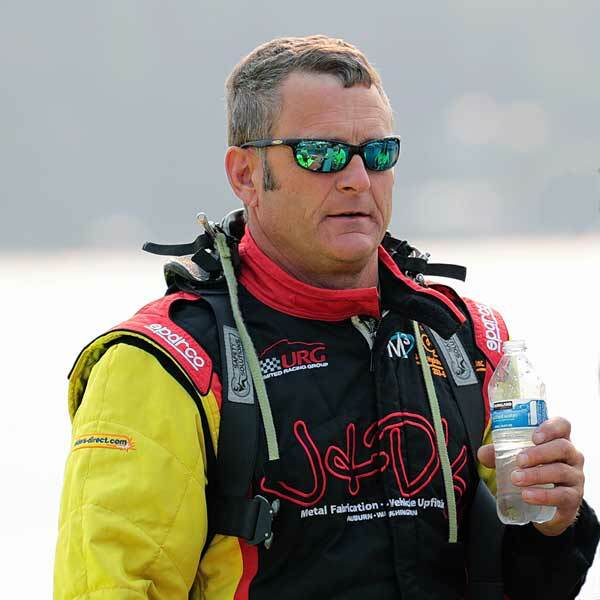 Along the way he has collected six consecutive national high-point titles in Jersey Speed Skiffs, four in the 2.5-litre hydroplane class, two in 1-litre hydroplane modified, and one in the 5-litres hydroplane class. He has also set a number of world speed records in several classes. 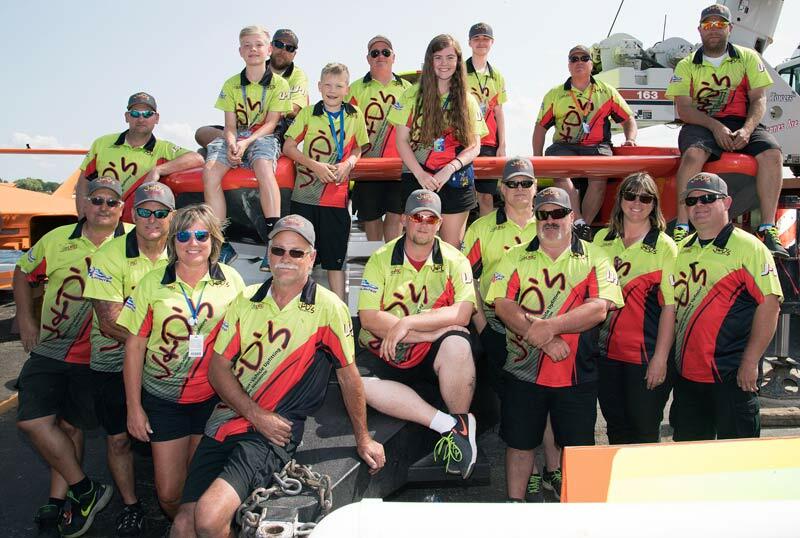 Thompson’s wife, Chrissy, and daughter, Savana, join him at the races every chance they get, but when he’s not driving a race boat, he operates Thompson Propane Systems in Cambridge. 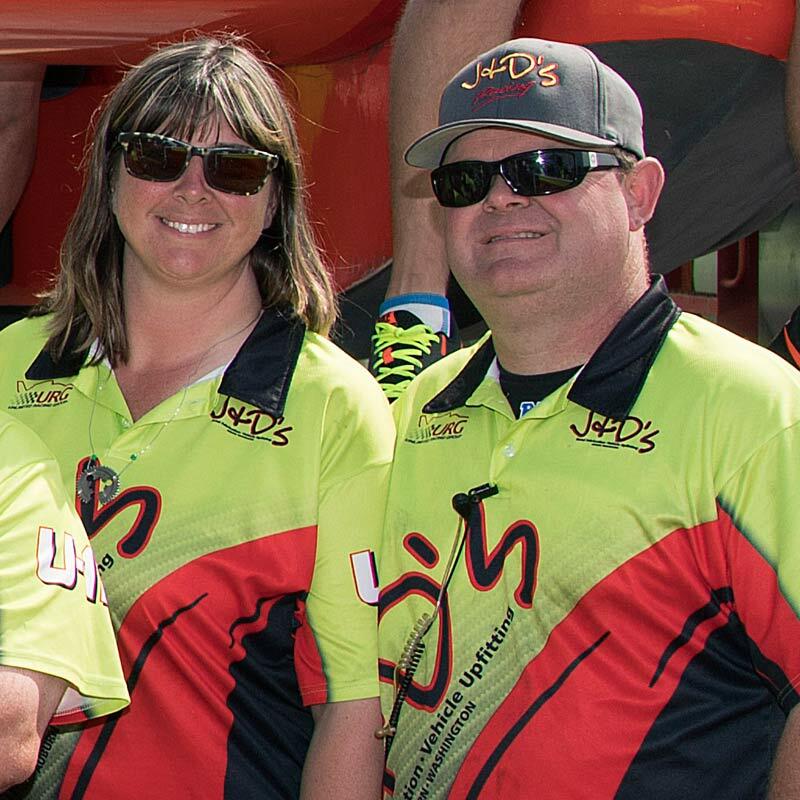 Scott & Shannon Raney, long-time veterans of Unlimited Hydroplane Racing, formed their own H1 Unlimited Race team in 2011. 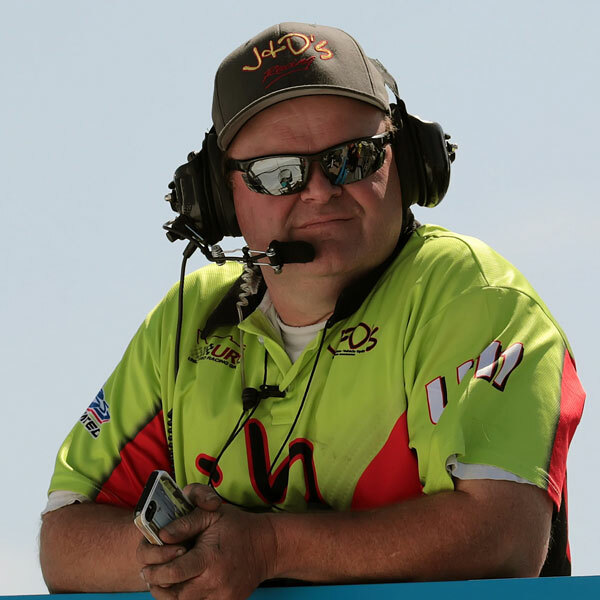 After breaking into hydroplane racing sweeping floors and doing odd jobs for Bill Wurster’s U-8 team, then moving up to crew member and finally Crew Chief, Scott Raney has notched multiple victories in the Unlimited ranks. Scott has worked on Mr. Pringles, Ultra Bold & Dash, Tide, International News, Budweiser, E-Lam Plus, and two different stints with LLumar Window Film, as well as with Schumacher Racing on the U-37 Beacon Plumbing. An accomplished 1.5 Liter hydro driver in his own right, Scott’s first job as crew chief was with the U-8 in 1997. He was instrumental in constructing the new boat for Ellstrom Manufacturing in 2001. In 2002, Scott was contracted by then-owner Bill Wurster to modify the former Budweiser T-4 ‘experimental’ hull into the ‘new’ U-8 LLumar Window Film. Utilizing the data and experience from previous boats, Pyro skillfully crafted a ‘new’ boat that was successful right out of the box. He also formed his own company, Performance Composites, to build and fabricate parts for the boat racing community. With a total of seven victories under his belt as Crew Chief, including the 2006 Gold Cup, and U.I.M. World Championship, he is now setting his sights on the ultimate goal in the sport: a National Championship. And with the U-11 team, he feels that he has the tools to make those goals a reality. Scott cites former Mr. Pringles head man Dan Heye as a major influence on how he conducts business as a crew chief. “Danny was the most thorough person I have ever worked with and taught me that preparation is the key to success.” Scott was voted by his peers as crew chief of the year in 2005 and 2006. At J&D’s Hydraulic, we provide a range of services that include custom vehicle upfitting, CNC plasma burning, metal fabrication and welding. We work relentlessly to provide the highest level of service, workmanship and products to our customer. Reliable Diamond Tool, Inc. (RDTI) produces precision diamond tooling for the Concrete, Terrazzo, Stone, Tile and Masonry Industries. We have been a pioneer in this industry bringing new designs and innovations to the forefront. We were the first to create the Two-Part Slotted Plug Body and the Beveled Edge Disc in varying grit sizes and bond specifications. We also first introduced preliminary grind of Epoxy Terrazzo utilizing 80 grit diamond discs, and introduced PCD Diamond Discs for removal of coatings from concrete. No other company before us offered Miniature PCD Diamond Discs for opening hard-troweled floors. RDTI is also responsible for the invention of the patented and revolutionary Speed Shift System. Reliable Diamond Tool, Inc. stocks a wide variety of sizes and specifications of virtually any materials known to the construction and stone industries. We offer sales, consulting, training and field instruction of proper use and maintenance of sawing and drilling equipment, as well as proper use and care of diamond tools.